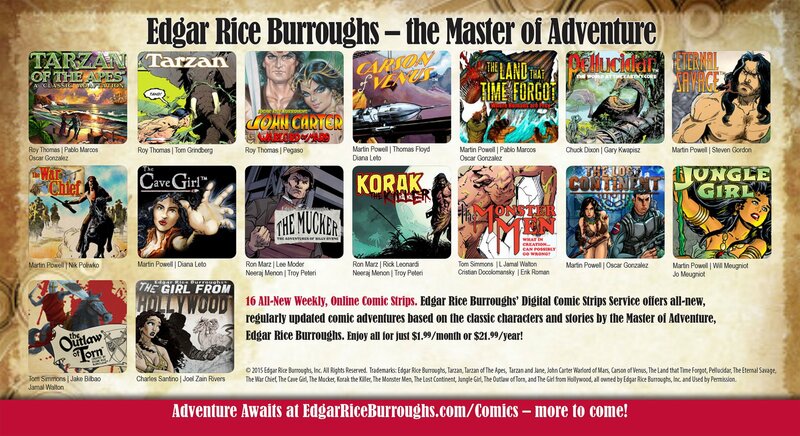 The Los Angeles SubERBs and Edgar Rice Burroughs, Inc.
beginning Sunday, June 26, and ending late Tuesday evening, June 28, 2016. The best available negotiated rates at the Marriott are $177 per day, plus taxes. Twenty-five rooms have been set aside for our organization. Reservations can be made at 818-887-4800 and tell the Marriott operator that you want the Tarzan —Edgar Rice Burroughs– Tarzan group rate. NOTE: June 7 is the last date to register and receive the special reduced rate. Please register early if you intend to attend the ECOF, even if you do not plan to stay at the Marriott. 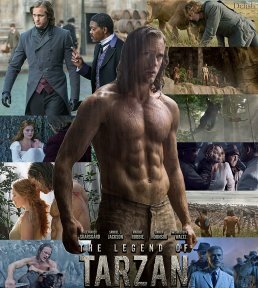 This event is in conjunction with the release of the Warner Bros. Legend of Tarzan and we will receive a June 28 pre-release showing of the highly anticipated film on the Warner Bros. movie lot. The WB theater can accommodate only 200 guests. The film is rated PG-13. Children under 10 will not be admitted. Movie lot security requires everyone in attendance to have pre-registered and present an ID upon exiting the bus. Warner Bros. will open their WB lot and museum for a three-hour tour, but we are limited to just 60 people. If you want to go on the tour, be sure to get your registration form in soon! Children must be over age 8 to be admitted. Legal ID is required for everyone 18 and older. Bus transportation will be provided to carry guests from the Marriott hotel to and from the Warner Bros. movie lot in Burbank. NOTE: there is an extra charge to go on the tour (see “OPTION A” below). Please let us know if you will need any kind of assistance on the tour (cane, wheel-chair, etc.). NOTE: You will NOT be able to register for the WB tour on the first day of the ECOF. WB requires us to turn in the final list of names a week before the tour! Saturday June 18 will be the last day to register for the WB tour. OPTION C: $20: Just the “Legend of Tarzan” movie and bus transportation. Linda Burroughs, Llana Jane Burroughs, and Dejah Burroughs James Sullos, President of ERB, Inc.
Sunday 9 am – huckster room opens. Sunday 10:30 am – Jim Sullos welcomes guests and talks about ERB, Inc. activities. 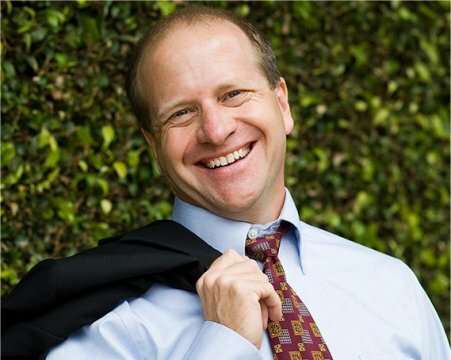 – Michael Sellers talks about “The Legend of Tarzan” which will be his new book. 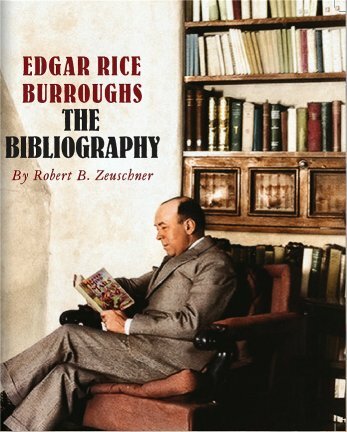 Sunday 2:30 pm – Bob Zeuschner talks about his new ERB bibliography. Sunday 3:30 pm – Stan Galloway on the young Tarzan. Sunday 5:30 pm on – a no-host mixer in the Marriott patio. Monday 10:00 am – Buddy Saunders on his various ERB projects. -- (“Tarzan Slept Here”) and Michael A. Sanford (“Tarzan on the Precipice”). Nancy Miller will offer a painting of Denny Miller as Tarzan to be auctioned. Leia Barrett Durham has several stained glass window artworks for the auction. Tuesday morning: 9:30 am tours of the WB museum limited to 60 people (extra charge). Those on the tour will be returned by bus to the Marriott around 2:30 pm. Tuesday evening: 5:30 buses take us to Warner Bros. and return to the Marriott after the movie. The 7 pm Tarzan movie is the highlight of the ECOF. this is the ultimate guide to the works of Edgar Rice Burroughs. 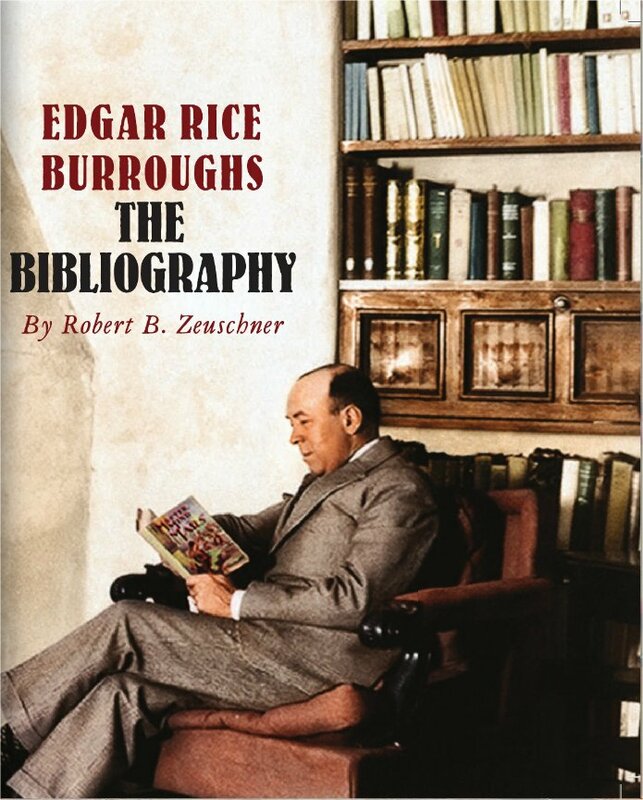 It is simply the most ambitious, comprehensive and colorful ERB bibliography ever published. Nothing previously published compares to this volume. 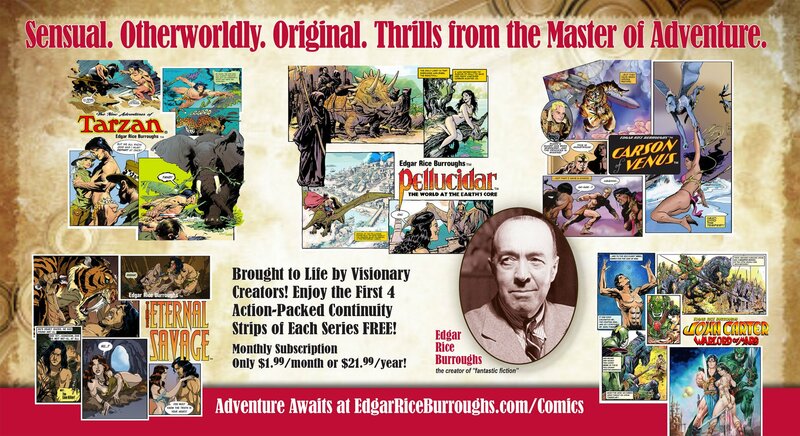 It is a must have for anyone interested in the stories and the story of Edgar Rice Burroughs. the publications that made Mr. Burroughs one of the most influential authors of the twentieth century. • . . . twice the size of Bob’s 1996 bibliography containing 2000+ entries - almost three times as many entries as his prior edition. • . . . filled with loads of new information recently discovered using sources previously unavailable. • . . . (the Deluxe Edition) will be the first genuine full leather bound book published by ERB Inc.
• The 97 ERB story related pulp covers spanning the years from 1912 to 1943. 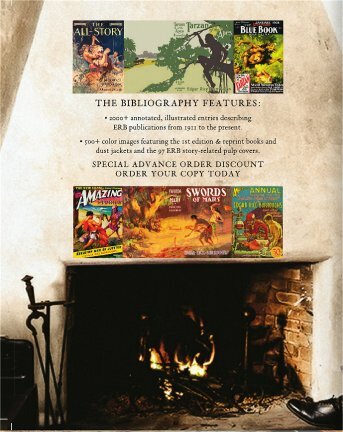 • The 72 ERB First edition books and dust jackets – all beautifully restored and displayed in a “3-D” catalog format. • The 47 Grosset & Dunlap titles displayed with and without dust jackets – arranged in a striking 8-page double gatefold insert. The book is scheduled to ship on July 15th, 2016. THE LATEST FROM ERB, INC. Prepare for the July 2016 Release from ERB, Inc.
so they make a great matched set. or $5 for book-rate shipping (within US). just in time for the summer convention season . . . 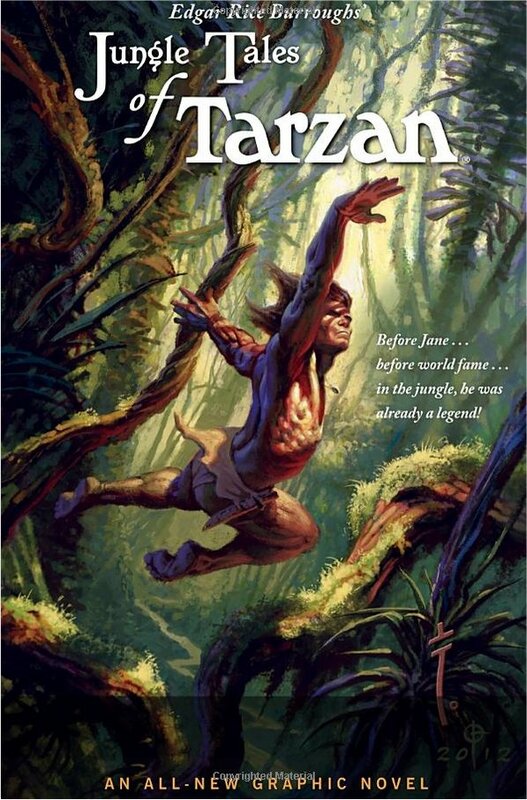 In 2012, 100 years after the publication of Edgar Rice Burroughs’ first fantasy stories, author and Ape-man aficionado Scott Tracy Griffin unveiled his beautifully illustrated book Tarzan: The Centennial Celebration, the ultimate tome detailing the character’s colorful, century-long history. 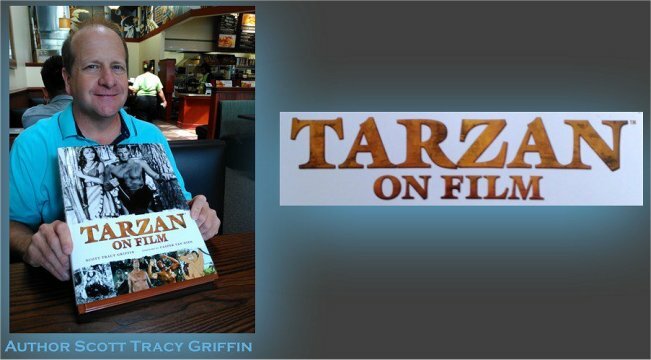 Now, Griffin is back with an in-depth look at the Lord of the Apes’ cinematic career in his new book, Tarzan on Film, releasing Aug. 2. With the popularity of the re-envisioned Planet of the Apes films and the ecstatic buzz over the upcoming Warner Bros. movie The Legend of Tarzan (opening July 1), simian-cinema is all the rage, and Griffin’s Tarzan on Film is the perfect way to get caught up on the granddaddy of all jungle adventurers. Scott Tracy Griffin is considered an expert on Edgar Rice Burroughs’ storied pop culture accomplishments, and in addition to his published books Griffin has been a contributor to periodicals including Cinefantastique, FilmFax, Femme Fatale, and the Burroughs Bulletin. The author/actor has also appeared in several documentaries and television specials focusing on Burroughs and Tarzan. 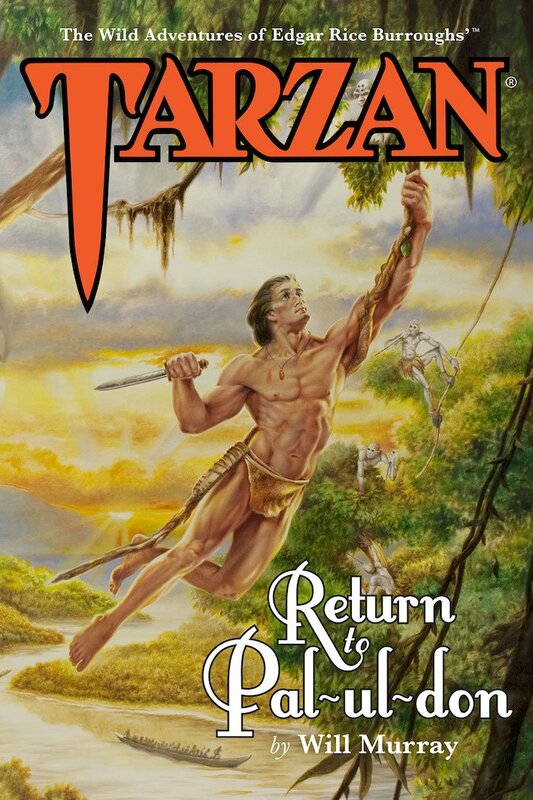 Tarzan on FilmIn excited anticipation of his upcoming appearance at the 2016 Phoenix Comicon, the release of his Tarzan on Film book, and The Legend of Tarzan movie, Mr. Griffin graciously granted Nerdvana his first interview about the upcoming events. Read on as Scott Tracy Griffin talks apes, actors and the legendary Edgar Rice Burroughs. 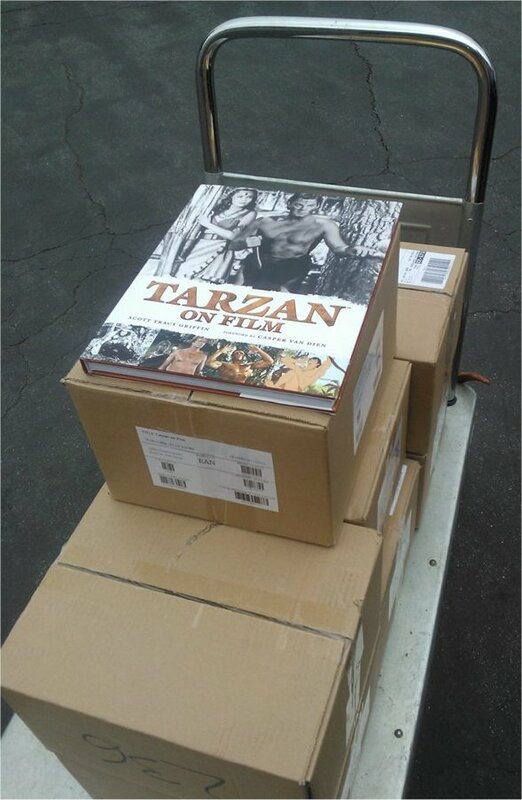 Did you first discover Tarzan through the books or the films? When/where did you see your first Tarzan movie? 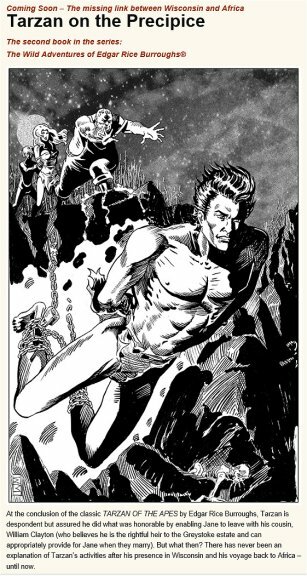 I read Edgar Rice Burroughs’ original novel, Tarzan of the Apes, at age 9, which cemented my love for the author’s work. Prior to that, I was familiar with the character, and was fascinated by the images on my older brother’s Tarzan lunchbox. Two movie scenes that made an impression on me when I saw them on television (probably because of the menace and adventure they depicted) were Jock Mahoney and Woody Strode battling over pots of boiling oil in Tarzan’s Three Challenges and the safari party trapped in the idol pit in the 1959 remake of Tarzan the Ape Man. Along with an occasional syndicated episode of the Ron Ely series, these are my first childhood memories of Tarzan on screen. When you title search “Tarzan” in the Internet Movie Database you get 200 results. 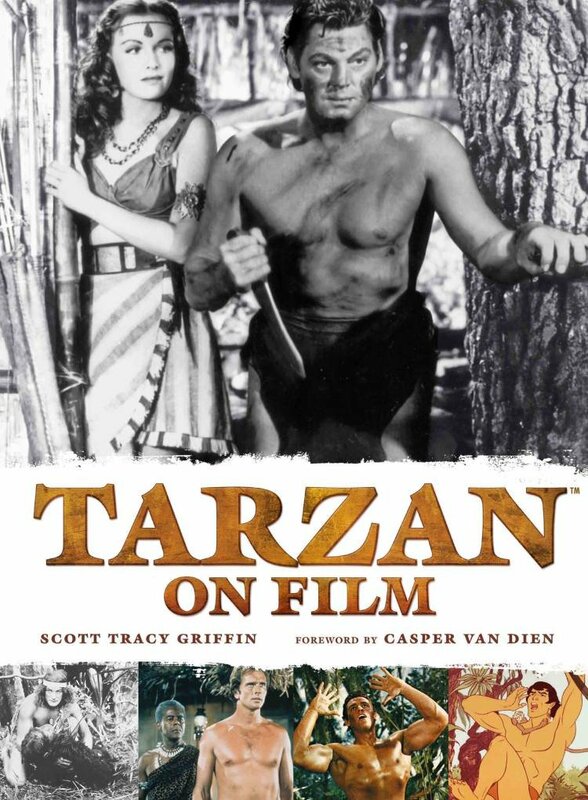 How many Tarzan films have actually been made, and have you watched them all? Depending on how you categorize the serials, television pilots, and so forth, there are 52 authorized films and seven television series. Excepting the three silent films currently believed to be lost — The Romance of Tarzan (1918), The Revenge of Tarzan (1920), and the serial Tarzan the Mighty (1928) — I’ve seen all the authorized films several times. The balance of those 200 IMDB listings are television episodes, unauthorized films, and bootlegs. Legend has it that Edgar Rice Burroughs was never really satisfied with Hollywood’s version of Tarzan; but did the author have a favorite among the films? Burroughs had a contentious relationship with most of the silent film producers, because he felt cheated when they failed to deliver the promised royalties after his initial advance payment — Hollywood accounting was firmly established during the medium’s infancy. Burroughs seemed quite happy with Metro-Goldwyn-Mayer’s serious, big-budget approach to the material in Tarzan the Ape Man (1932) and Tarzan and His Mate (1934), and had a warm (and highly profitable) relationship with producer Sol Lesser, so he didn’t quibble over the later Tarzan films. Which of the Tarzan films is your favorite? Which was most interesting to research and write about? I like them all, and find things to appreciate in each. My favorite screen adaptation is the animated Filmation television series Tarzan, Lord of the Jungle, which offers an intelligent, articulate ape man, and is authentic to Burroughs’ original vision. I also have an affection for the RKO Weissmuller films, which were great escapist fare, and I think Disney did a great job with the animated feature. Do you have a favorite singular scene from all the Tarzan films? I really like the jungle sequence in Greystoke — I wish we could have experienced scripter Robert Towne’s directorial vision, since it was his passion project. On another note, I find the humor in Tarzan Finds a Son! enjoyable, especially the reveal when the yodeling Tarzan swings into view with Boy — now grown from baby to child — dangling from his feet. That always draws a chuckle. Is it true that the original Crocodile Dundee (1986) was inspired by Tarzan’s New York Adventure (1942)? Do you cover film “tributes” in your book? I’ve heard that, but can’t confirm it. 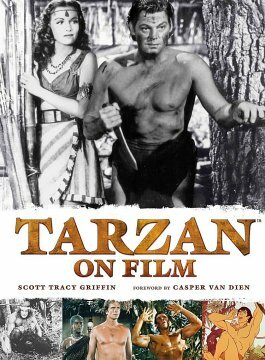 Discussing the films influenced and inspired by the Tarzan series would be a book in itself, so I confined my approach in this outing to the authorized films and television series. What is one of the most interesting trivia items you discovered while researching Tarzan on Film? There is a bit of controversy surrounding the origin of Tarzan’s victory cry, specifically the Johnny Weissmuller version of the yell. Does your book conclude where it came from?  Have you mastered the call yourself? MGM publicity claimed that sound engineers combined Weissmuller’s voice with “a hyena’s howl played backward, a camel’s bleat, the pluck of a violin, and a soprano’s high C.” There are various anecdotal stories about the sound’s creation, but what is evident is that it is a palindrome of a human yodel highlighted by a musical note in the middle, perhaps from a clarinet. Weissmuller was able to mimic the sound a cappella with a fair amount of accuracy, because he loved to cut loose with the Tarzan cry whenever he felt so inspired — often, after a couple of drinks! Like many kids growing up in rural America, I enjoyed giving that victory cry during my childhood. What are you hopes for the upcoming Legend of Tarzan film? What do you want to see in a Tarzan film that we haven’t seen on screen before? My greatest desire is that it creates a new generation of Tarzan fans, and a renewed interest in Edgar Rice Burroughs and his literary canon. I’d like to see the Tarzan of Burroughs’ novels — a feral man of almost superhuman strength, who navigates effortlessly between the House of Lords and the most primitive jungle — rather than the monosyllabic savage that was so popular in the past. Why do you think Tarzan has remained popular for over 100 years and why is he still relevant today? Edgar Rice Burroughs tapped into a primal myth in creating Tarzan. He was steeped in the Greek and Roman classics, and imbued his work with heroic archetypes. Tarzan appeals to all that is good and noble in us, while serving as a wish-fulfillment fantasy of being all-powerful. I think that the character is timeless and can appeal to all generations and cultures, as long as the adaptation reflects the spirit of Burroughs’ vision. Scott Tracy Griffin will be appearing every day of the 2016 Phoenix Comicon (located at guest table #AA1724) where you can pick up an autographed copy of his new book, Tarzan on Film, and Tarzan: The Centennial Celebration. Mr. Griffin will also appear the Comicon panels: Tarzan and Edgar Rice Burroughs: Yesterday, Today and Tomorrow; and Edgar Rice Burroughs and His Influence on Pop Culture. Margot Robbie is summer’s brightest-burning Hollywood star. The Cat’s Meow “I remember being blown away by how cool and down-to-earth she was,” says Skarsgård. 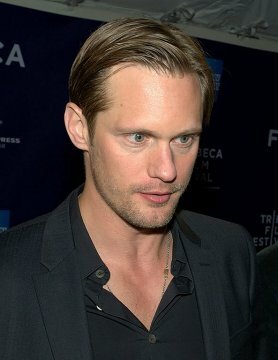 Christian Post ~ March 28, 2016 Alexander Skarsgard at the Tribeca Film Festival 2010. After the release of the trailer for the Disney classic "The Legend of Tarzan," fans were at awe at the transformation of Alexander Skargard into the iconic Disney character. It was previously announced that "The Legend of Tarzan" will soon take on the big screen, with a stellar cast, including "True Blood" star Alexander Skarsgard as the lead. The recently released trailer showed Skarsgard all buffed up for the role as he began swinging through the jungle. According to E! news, Skarsgard was able to share some details about his body transformation. He stated that he had an excellent trainer and nutritionist to guide him through his work outs and meals. Skarsgard explained that this was his first time going through this process, which posed as a big challenge to him at first. He said that he was not sure about how his body was going to adjust to the big changes. However, despite his strict diet, Skargard explained that his trainer surprised him one day. He said, "He was like, 'Alex, let's go for lunch,' and we went to this Italian restaurant in Notting Hill and sat down and he was like, 'Order what you want." I started crying. He was like, 'Have pasta,' and I had it and then he was like, 'Are you still hungry?' I was like, 'Yeah!' He was like, 'Have a pizza then, have some tiramisu.' It was the best meal of my life." In addition, he shared some details about his ability to swing through the forest. He admitted that he was not actually the one performing the tricks in the movie. Apparently, a trapeze artist was the one doing all the stunts seen on the film. "The Legend of Tarzan" is expected to hit theaters July 1.